You never know when a nice little knife might come in handy, which is why you should always have one on-hand. This Grey Skull Camo Utility Knife is small, making it quite the discreet little blade, as well as distinctive, thanks to its unique finish. This useful little knife is crafted entirely out of a single piece of 440 stainless steel, giving it a rugged and solid form that is great for all-purpose use. The knife features a drop-point blade that is perfect for cutting tasks of all sorts, while featuring a broad point for the occasional thrust. The blade features a distinctive grey camo coating across its length, as well as a black wrapped handle to provide a secure and comfortable grip. 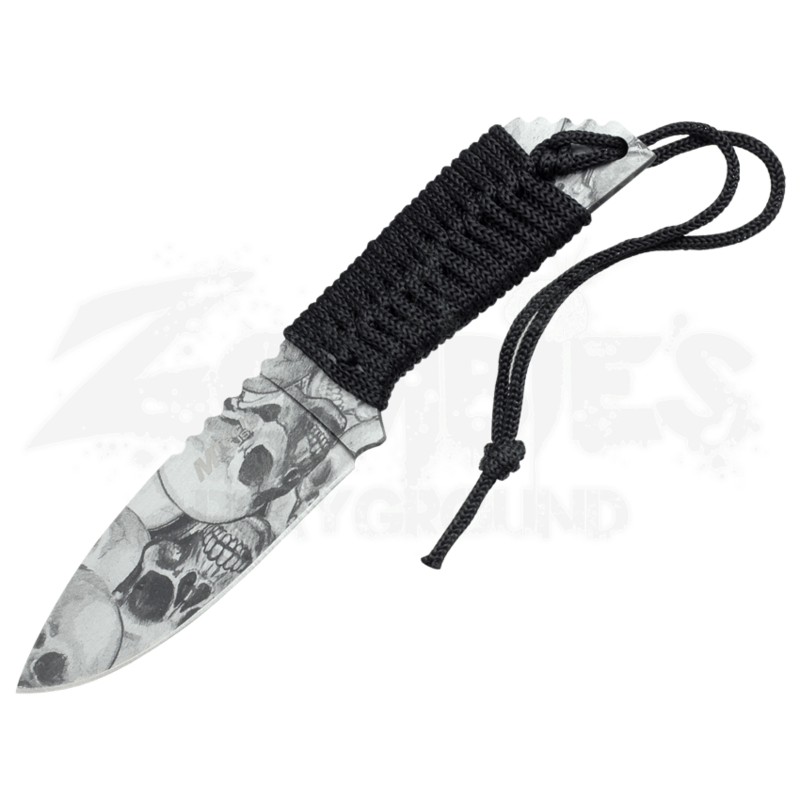 The knife comes complete with a small nylon sheath that is perfect for carrying and for storing. The knife measures approximately 8.5 inches long, making it small enough to go just about anywhere. A good survivalist knows to always be prepared, and usually, that means always having a knife on your person at all times. 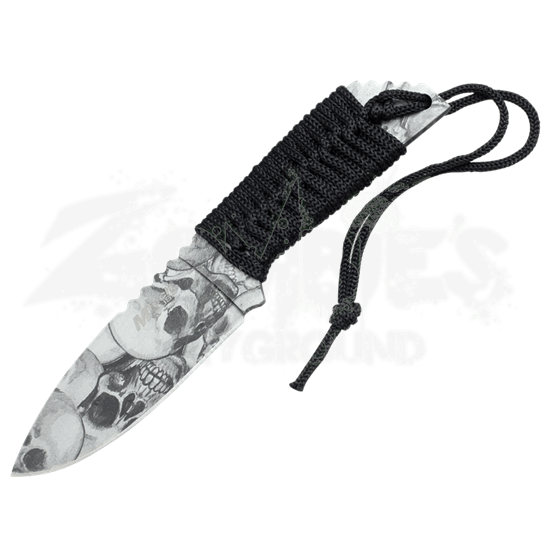 This Grey Skull Camo Utility Knife is a convenient way to hold to that rule, while also ensuring that you have a stylized little personal blade on your person, no matter where you might go.